After months of looking, you’ve finally landed an interview for your dream job. If all goes well, this could put an end to your job search for years. You’ve submitted your resume and studied the most likely interview questions, but are you really prepared? Even with all your preparation-work and experience, you could find one mistake leads the hirer to choose someone else for the position. It’s important to know what those mistakes could potentially be so that you can avoid them. Here are some common interview slip-ups, backed by science, that could cost you your dream job. Studies have revealed that people spend 60 percent of a conversation talking about themselves. Even in an interview, the ideal conversation is a give and take, with the candidate waiting for cues before speaking. If you’re the type who tends to chatter uncontrollably when you’re nervous, take a deep breath and listen. You don't need to dominate the conversation. Let the important person interviewing you do that. Try to stay on track when you’re speaking and avoid sharing more than your interviewer wants to know. People aren’t as skilled at detecting a lie as you might think. Although there are body language cues that someone might be deceptive, those can be unreliable. The biggest giveaway that someone is lying is in the words themselves. If you start to tell an untrue story, the chances are fairly decent you’ll slip and contradict yourself. Even if you manage not to contradict yourself, the interviewer may detect something doesn’t sound right in your answer and mark you off the list of potentials. The best course of action is to answer questions as truthfully as possible. The outfit you choose the morning of an interview could have everything to do with whether you land the job. When surveyed, 72 percent of hiring managers said that dressing inappropriately is one of the biggest mistakes an applicant can make. Leave the jeans and T-shirts at home and invest in clothing that makes you look professional, even if the dress code of the business in question is somewhat casual. Also avoid tight or skimpy clothing that comes across as provocative. Managers tend to respond more favorably to neutral colors like black and navy blue rather than bright colors or accessories that distract. Studies have found that employees who are passionate about their employers and the work they’re doing are happier and more productive. However, many job searchers end up settling for a company they know little about. Before you apply for any opening, take time to research the company and determine whether you can get excited about it. 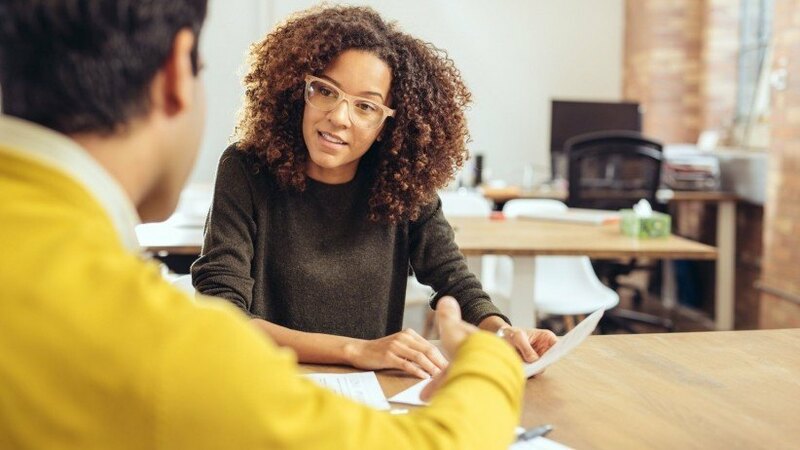 You can use Glassdoor to learn what they’re like as an employer, but you can also research their products and community outreach to see if you share the same core values. Once you do land an interview, conduct extensive research into the company so you’ll be able to answer questions knowledgeably. It can be tempting, especially if you’ve been out of work for a while, to accept an offer at the low end of the range. By doing this, you may be cheating yourself out of thousands of dollars each year over the course of your career. Research shows that employers respond better during salary negotiations to precise counter-offers. Not only are you more likely to get more money in your bank account, but your employer may have more respect for you in asking for what you want and getting it. After the interview, many candidates choose to sit by and wait for the phone to ring, yet follow-ups are an important part of landing a job. If an employer is on the fence, that extra email could make all the difference. Research finds that if you’re going to get a response to your follow-up email, it will be within 24 to 48 hours of sending it. However, if you don’t hear back, it still isn’t time to rest. You have a 21 percent chance of getting a reply on a second email and a 25 percent chance of getting a reply if you continue to follow up. Finding a job can be stressful, but science can help you make decisions that up your chances of winning an interview. As a result of careful advance research and preparation, you can find the perfect fit on your first try. This will not only make the job search easier, but it may also reduce your risk of going through the job search process again in a couple of years.